The colors seem appropriate for their theme. 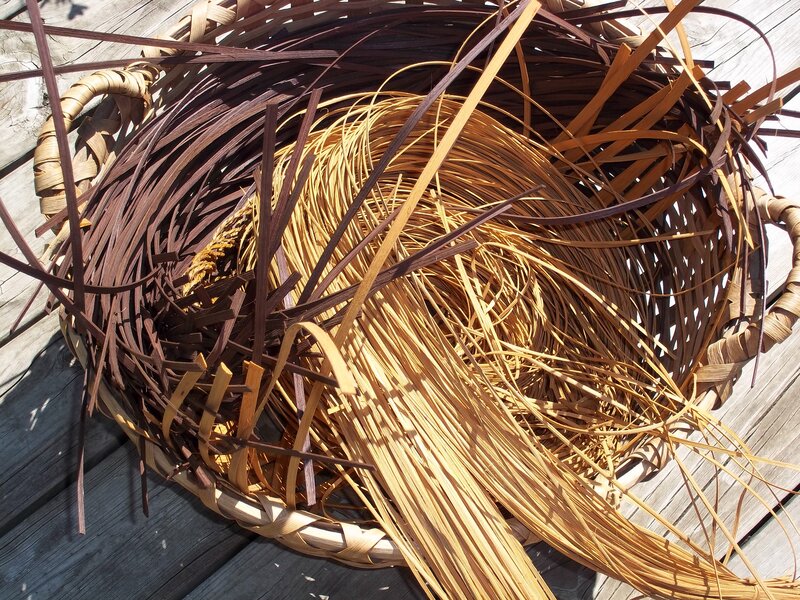 Tomorrow I will dye blues and purples for “Surreptitious“, which I am also teaching at the AMB convention, so I thought I would write about dyeing reed. I typically use Rit dye, you know the kind you find at the grocery, craft and hardware store. I am often asked why I use Rit so first I’ll tackle that. 1) I like the fact that Rit is non toxic and can be disposed of by pouring down the drain. It’s also safe for septic systems. 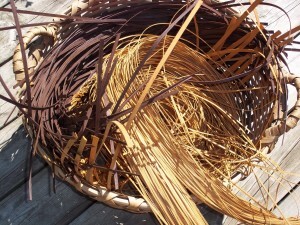 I really don’t want a beautiful red coil of reed but worry about the disposing of a pot of toxic waste. 3) I appreciate that reading Rit’s safety page doesn’t scare me half to death. 4) Rit is easy to find locally, but if I want to shop from home I can order it online from Amazon or directly from Rit. 5) The price is reasonable. 6) Rit has a great color selection and can easily be mixed to create new colors. 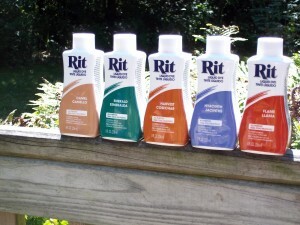 On the Rit website, they have two amazing color charts, complete with recipes for about 600 colors. Check out these colors – just click on the inks below. And while you are on their site, check out their new colors: Camel, Emerald, Harvest, Hyacinth and Flame. The dyeing process – soon.